Day 03 – After an American buffet breakfast, we proceed to Kuala Lumpur. En route we visit the Batik factory and Batu caves. Arrive Kuala Lumpur and check-in at Hotel. 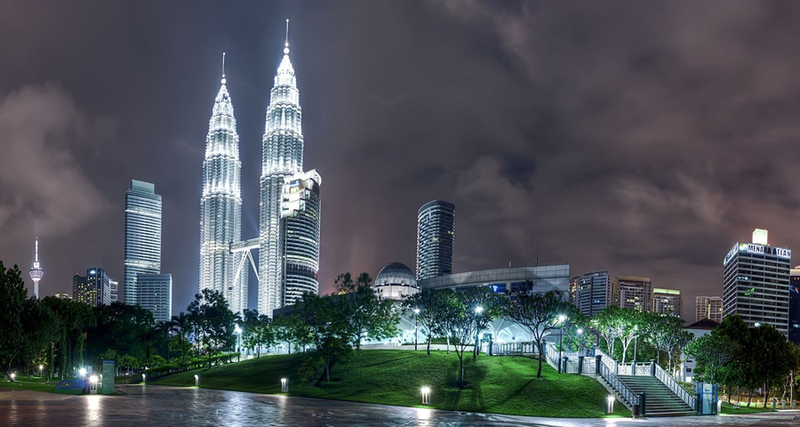 In the evening we take you for a half day city tour of this busy international city where we see the King’s Palace, the National Mosque, Jamed Mosque, the National Museum, Merdeka Square and the National Monument which houses the world’s largest Bronze Memorial. Dinner at an Indian restaurant. Overnight at the Hotel. Half Day City tour + PM Sentosa. Day 06 – Enjoy Breakfast at the hotel. Wait at concierge desk 10 minutes before pick-up time for City Tour. Enjoy the City Tour in the morning visiting the famous landmarks in Singapore such as the Merlion. Explore the city by driving round the Civic District, passing by the Padang, Cricket Club, historic Parliament House, Supreme Court and City Hall. Next, stop at the MERLION PARK and enjoy the impressive views of Marina Bay. Do not miss out this picture-taking opportunity with The Merlion, a mythological creature that is part lion and part fish. Visit THIAN HOCK KENG TEMPLE, one of Singapore’s oldest Buddhist-Taoist temples, before driving past Chinatown. Stop by a LOCAL HANDICRAFT CENTRE and observe craftsmen at work up-close. Proceed to the NATIONAL ORCHID GARDEN, located within Singapore Botanic Gardens, which boasts a sprawling display of 60,000 orchid plants. Our final stop at LITTLE INDIA will entrance you with the scent of joss sticks, jasmine and spices. After the end of tour, the coach will send you back to your hotel. Be transported to Sentosa by a scenic Cable Car Ride where you can see the beautiful landscape of the city. Embark on a ‘voyage to the bottom of the sea’ at the Underwater World through its 80m transparent acrylic tunnel to view over 2,500 sea creatures. Next, visit the Dolphin Lagoon, where you can watch adorable pink dolphins perform their natural antics. At Images Of Singapore, you’ll embark on a journey to experience the colourful culture and vibrant heritage of Singapore, re-told through life-size figures, animators and special effects. The tour ends with a visit to Songs of the Sea – Singapore’s multi-sensory extravaganza – to watch a world-class water show comprising dramatic effects, water jets, lasers, bursts of fire and foot-tapping music set in the sea. Private chartered transportation between attractions will make your visit more comfortable. Dinner at Indian restaurant. Overnight at the Hotel. Day 07 – Today after breakfast, we take you to universal studio where you will get chance to meet lots of cartoon characters. You will also able to see models of ancient egypt. Not only this, but you will also be able to enjoy the 4-D shows. Evening we transfers you back to the hotel. Dinner at an indian restaurant. Overnight at the hotel. Night safari without dinner, Universal Studio, Coach transfers (KUL – SIN), Return airport transfers , All tours & transfers on SIC basis.